Session Two Kifirim Campers Have Arrived!! Life has been great in Kfirim! 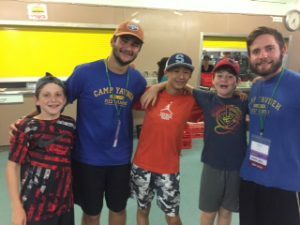 After Zimriyah, we spent Friday packing and then had a mini Maccabiah (color wars). Our last Shabbat of first session was beautiful! 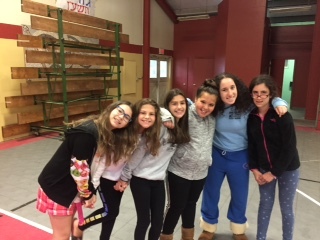 On Sunday morning we said goodbye to our first session campers and then spent the day hard at work to both cleanup from first session and set-up for second session. We spent the afternoon welcoming second session chanichim. We did some ice breakers and a camp tour in the afternoon. We went to dinner and had shnitzel that was out of this world. This meal was the last meal before the start of 9 days. The 9 days is a period, which is the first 9 days of the Hebrew month of Av, which leads up to the ninth of Av, which is a fast day in commemoration of the destruction of the holy Temple. At camp we will not be listening to music for the next 9 days to honor this important time. We will still listen to a cappella music. We did a round robin peulat erev (evening activity) last night that gave chanichim an opportunity to get to know each other. Everyone is excited and we can’t wait to get into this month. We have some wonderful things planned for the next three and a half weeks!